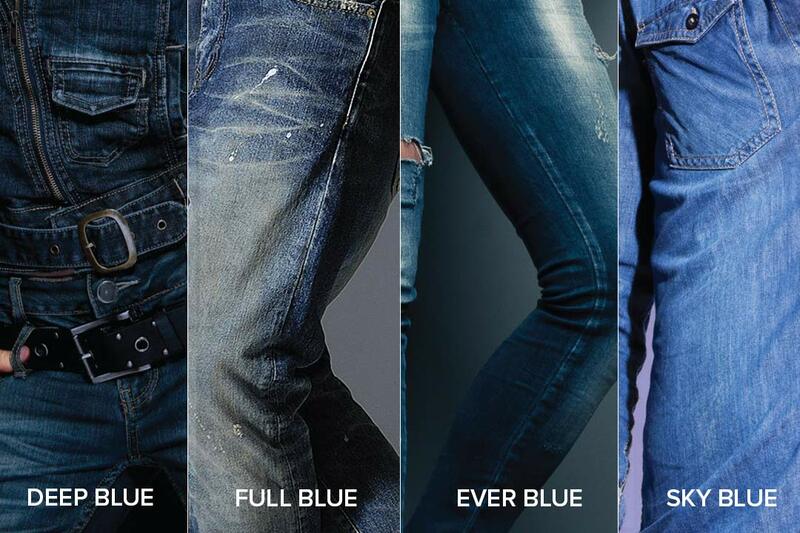 The DyStar Denim Team has developed new blues based on DyStar’s patented Indigo Vat 40% Solution. The Denim team has a strong focus on environmentally friendly solutions and on providing the best service to their customer. But they also strive to inspire the denim industry with new shades and effects. Celebrating a “Festival of Blue” the company launches 4 new shades for fashionable denim. “With these new developments, the DyStar denim team continues the way to offer the best and most innovative solutions to our Indigo Solution customers” states Thorsten Hüls, Head of Marketing & Sales Denim. “We don’t only want to provide the best product, we also want to be an inspiration for denim fashion by launching these fresh new blues” states Naceur Azraq, Global Technical Manager Denim. DyStar Indigo has a history of almost 120 years of technical development and inspiration. The core product is the state-of-the art DyStar Indigo Vat 40% solution which allows a cleaner indigo dyeing process and a reduction of the Sodium Hydrosulfite usage by 60%-70%. Being a solution provider, DyStar offers not only a high quality dye. The DyStar Denim Solution also includes auxiliaries to provide beautiful, fashionable wash effects, Lava® dyes for colorful denim and a service team that supports our customers in all important denim markets.